As much of my work focuses on community colleges and their efforts at advancing peace, I like to share what I consider to be powerful ways they are doing that work. 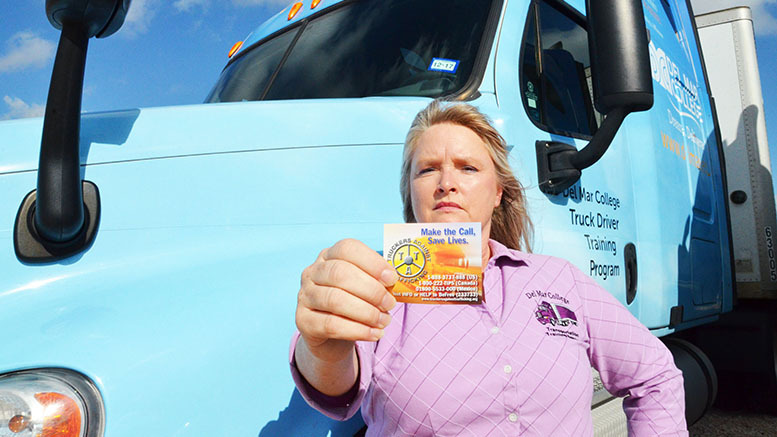 At Del Mar College in Corpus Christi, TX, the professional truck training program has adopted the curriculum of Truckers Against Trafficking (TAT). Each student in the truck driving program enrolls in the trafficking program and receives a certification from TAT. Truck drivers are often on the front lines of stopping trafficking. Click here or below to learn more about the program. Here is the link to TAT.